Whew. Did you hear that big sigh of relief? We finished up the last of our outside classes on April 30. It was a great experience for David (10th) and Anna (8th), but it did make for hectic Mondays. A level of hectic that I’m not used to since we’ve always homeschooled. I’m glad they’re over for this year, but I am a firm believer in giving older homeschooled students a chance to be involved in a classroom setting – especially if they’re college bound. I thought it was important before I signed my kids up, and now I have seen the benefits. I’ve had trouble motivating David in subjects that he’s not that interested in. It’s been a constant battle. This year, I enrolled him in a literature class, and the difference was amazing. No, he didn’t love the class, but since he’s competitive (and a perfectionist), he worked hard. There is no way that I could have gotten him to do the amount of work at home reading books that he doesn’t like. That class was such a success, he’s taking American Literature next year with the same teacher. Most everything that my children have studied up to this point has been from my perspective. I’ve chosen the curriculum, I’ve guided them through it. I’ve answered their questions. I’ve chosen the activities that I’ve thought were important. And that’s one of the great things about homeschooling. I do get to pick out what I think are the best resources for my children. However, sometimes the best resource is someone else. Hearing someone else’s interpretation of a work of fiction, doing the writing assignments she thinks is important, and watching someone else work math problems all provide a more well-rounded education. Some things might not be the very best way that my student learns, but when you have a job, you don’t always get to only do things in the way that fits you best. Sometimes you have to do things just because they have to be done. The pre-calculus curriculum was NOT the one I would have chosen for David. But having a teacher who checked his assignments and taught the material made up for the curriculum choice. Notice I didn’t say socialization. Socializing is really what most people mean when they ask the dreaded “What about socialization?” question. 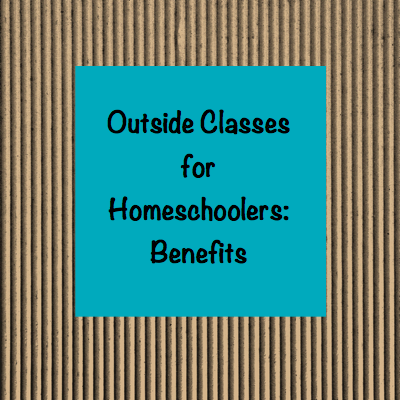 One of the benefits of outside classes is the opportunity to meet other homeschoolers (or students if the class is not specifically for homeschoolers). Class time itself is not for socializing, but kids meet new people in their classes and that can provide the opportunity to build friendships. We do other activities like cross country and church where my kids can meet other people, but this was another opportunity to meet more people with common interests. What about you? Have your students taken outside classes? What benefits have you seen? This post is linked to the Let’s Homeschool High School Blog Hop and Finishing Strong. As a classical educator (sort of), I value the study of classic literature. I want my children (and myself) to have an understanding of the themes and messages found in classic books. I have a problem though. I do not really “get” a lot of literature myself. While other homeschoolers quake at the thought of teaching advanced math and science courses, my biggest fear is literature. In my “former life”, I was an engineer. And engineers don’t have to take a lot of English courses in college. So I had 1 semester of freshman English. I had a reasonably decent high school education, but it always took the class discussions for me to see the themes and draw conclusions from my reading. My 13 year old son is a very literal kid. So just asking leading questions about a book isn’t going to be enough. Plus, I don’t know what kind of leading questions to even ask. Studying literature with him is not going to be easy. I fear that it’s going to be a painful experience. Yet, we do want him to have at least had the experience of reading the books and making some attempt of analyzing them. 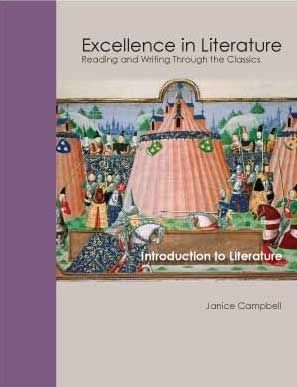 If you’re looking for a challenging course for high school literature, I recommend that you look at Excellence in Literature. You can download an overview of the entire program and the complete book list on the Everyday Education website. Each course is available in print for $29 plus shipping, or as an e-book for $27. 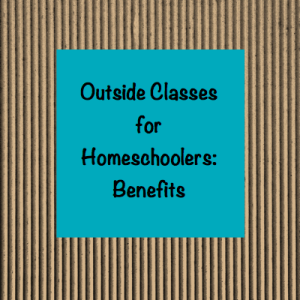 Please visit the Homeschool Crew Blog to read other reviews of this and other products for your homeschool! Disclosure: I received a free copy of this product to review. I was not compensated for this review and all opinions expressed are my own.